Pocket Teddies are adventurous and brave! They love climbing trees, doing the monkey bars and eating brockoli. They are very good at maths and spelling and like to ride shotgun in your schoolbag. With a teddy in your pocket, you can do brave things too! 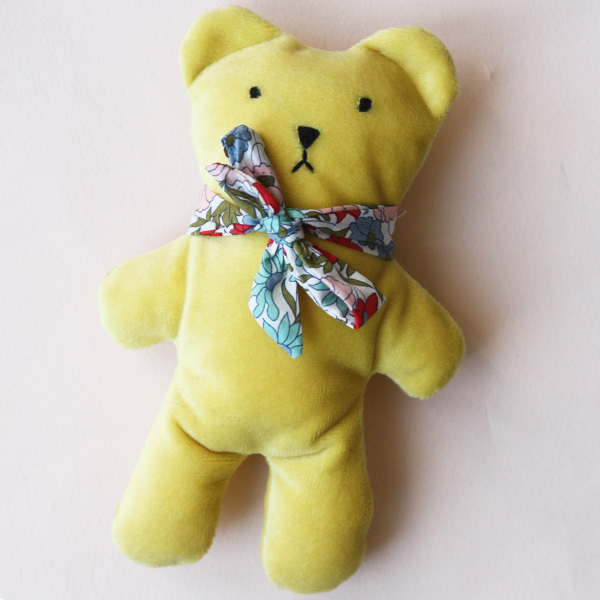 Pocket teddies are made from soft yellow velveteen with hand embroidered faces, and come with either a bow tie or liberty scarf accessory. Note: Teddies are hand made individually and may vary very slightly from teddy pictured. 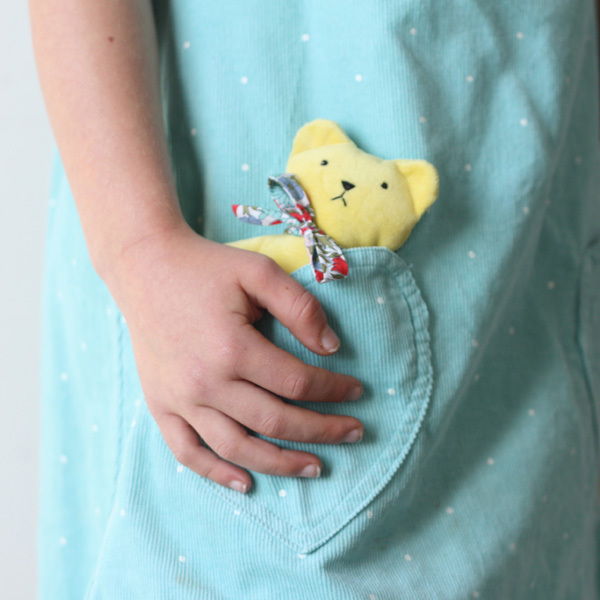 Notify me when Pocket Teddy is available.